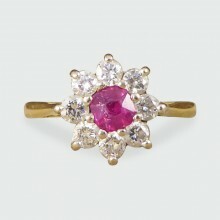 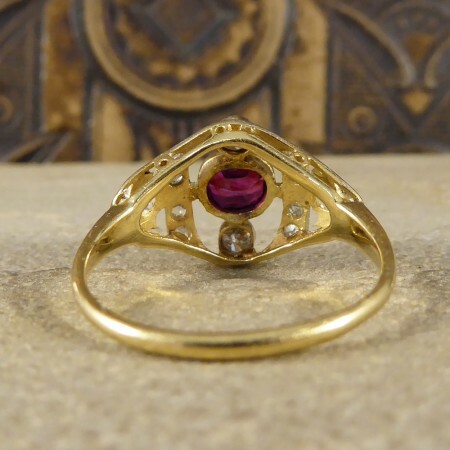 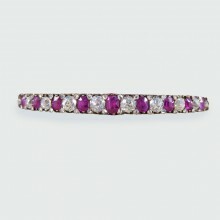 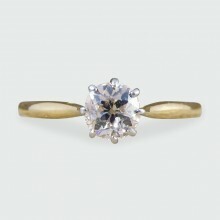 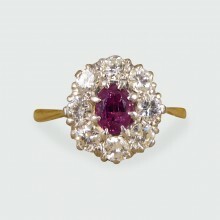 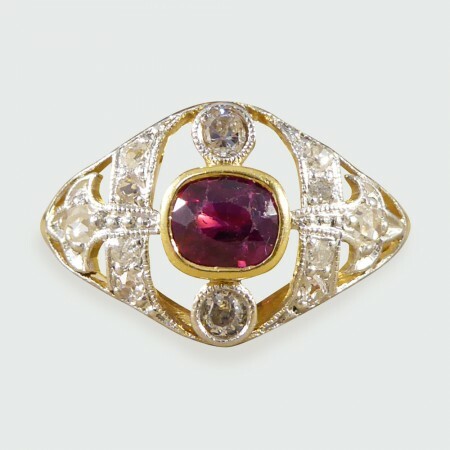 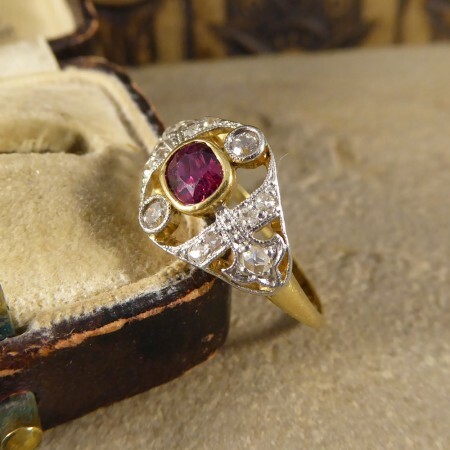 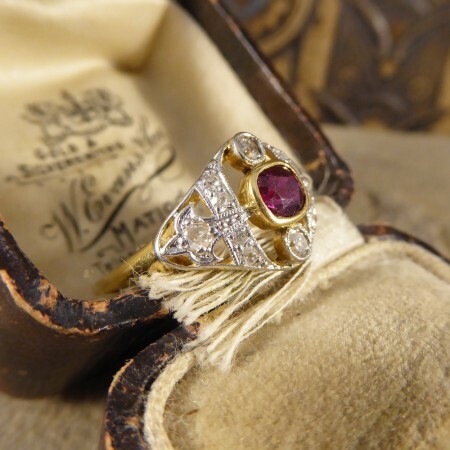 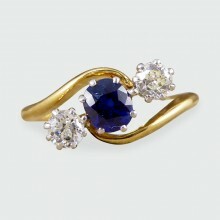 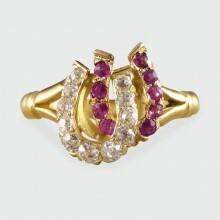 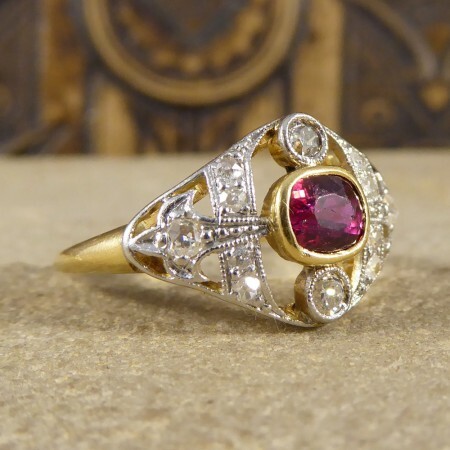 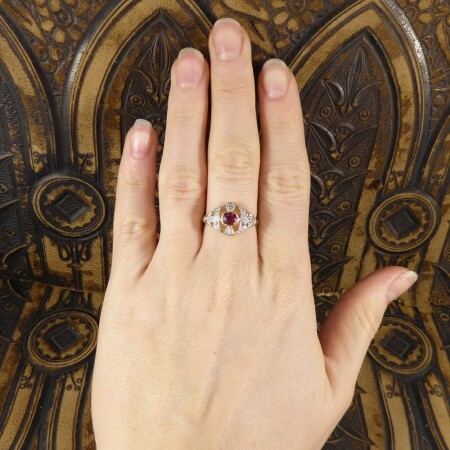 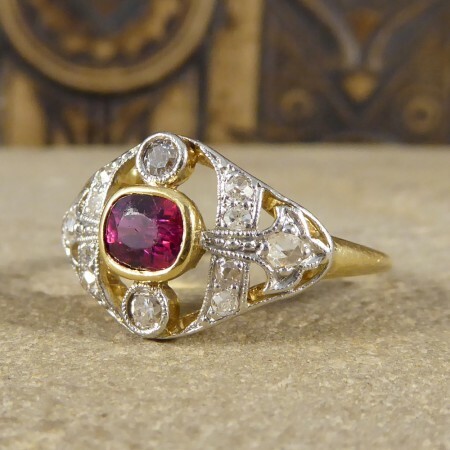 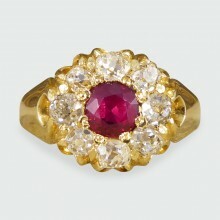 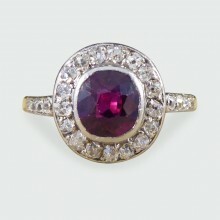 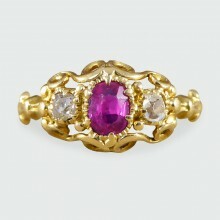 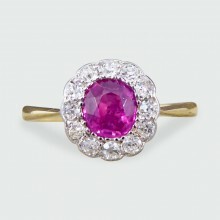 This lovely Edwardian ring has a single Ruby displayed in the centre in a yellow gold rub over setting. 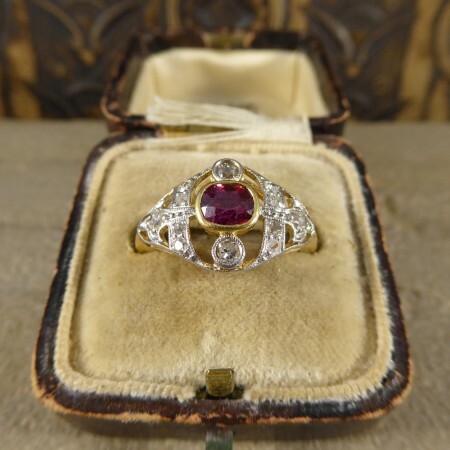 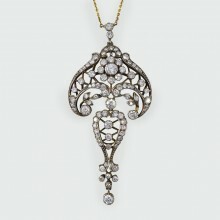 With Diamonds decorating the detailing of this ring and a slightly raised gallery, it would make the perfect gift for any antique lover. 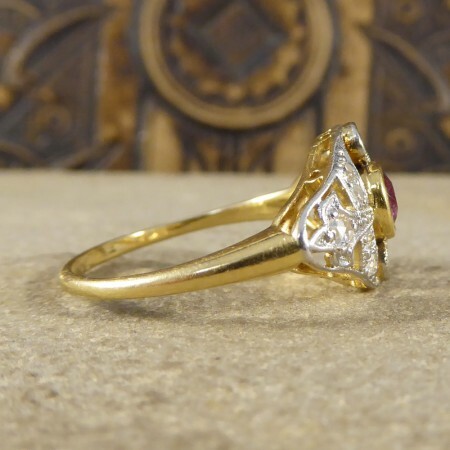 Head Height; 11.5mm. 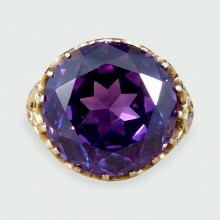 Head Width; 18mm. 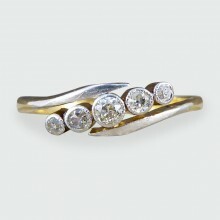 Head Depth; 5mm. 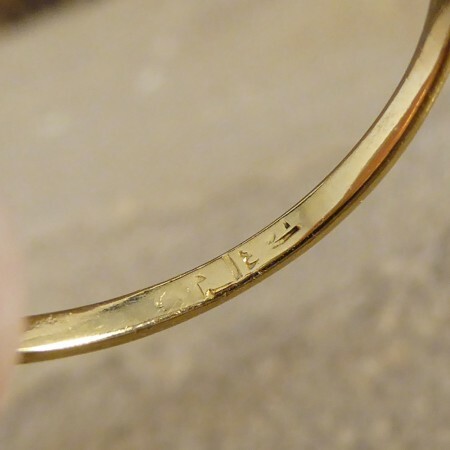 Band Width; 1mm.